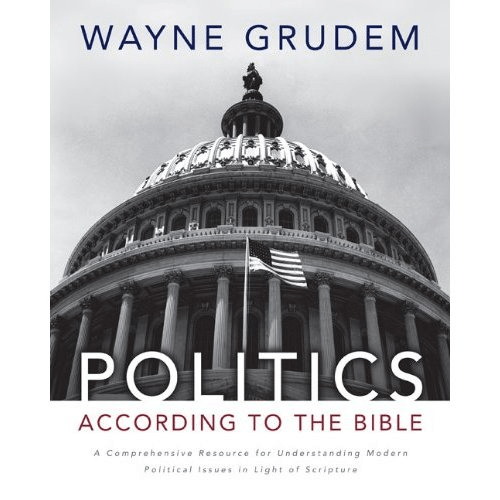 I started to read over the weekend a new book by Dr. Wayne Grudem, professor of systematic theology at Phoenix Seminary called Politics According to the Bible. In the first chapter he discusses five wrong views about Christians and government. One of those is the view that government should exclude religion. This is the view that is promoted by groups such as the American Civil Liberties Union (ACLU) and Americans United for Separation of Church and State. This view he says espouses a belief that religious people should just stay home and be quiet (that happens to be a view expressed regularly in the comment section of this blog). He also notes those who hold this position believe that “religious beliefs should never be mentioned in governmental functions or on government property and should never play a role in the decision-making process in politics or government,” (pg. 29). Basically religious people and groups should have zero influence in the political process. He gives several reasons why this view is wrong. 1. It fails to distinguish the reasons for a law from the content of the law. He cites the court cases in Iowa and in California that overturned a law (and a constitutional amendment) that defined marriage as being between “one man and one woman.” He noted that both courts cited religious opposition to overturning the definitions and that such views should not be taken into account. In the case of California he notes paraphrasing those who opposed Proposition 8 in California basically said, “in other words, even though 52% of Californians voted to define marriage as between one man and one woman, they were wrongly ‘establishing’ a religion,” (pg. 31). These arguments also make the logical mistake of failing to distinguish the reasons for a law from the content of the law. There were religious reasons behind many of our laws, but these laws do not “establish” a religion. All major religions have teachings against stealing, but laws against stealing do not “establish a religion.” All religions have laws against murder, but laws against murder do not “establish a religion.” The campaign to abolish slavery in the United States and England was led by many Christians, based on their religious convictions, but laws abolishing slavery do not “establish a religion.” The campaign to end racial discrimination and segregation was led by Dr. Martin Luther King, Jr., a Baptist pastor, who preached against racial injustice from the Bible. But laws against discrimination and segregation do not “establish a religion,” (pg. 31). He notes based on the way courts are using such reasoning he notes, “all the votes of religious citizens for almost any issue could be found invalid by court decree,” (pg. 31). 2. It overrides the will of the people. In other words, religious or moral reasons that were sincerely held by the citizens of Colorado were not “rational” reasons. Their votes did not count because they used religious reasons to decide their vote, (pg. 32). 3. It changes freedom of religion into freedom from religion. 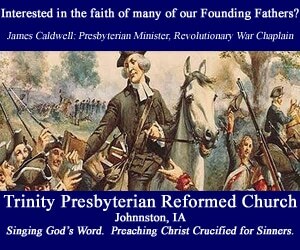 From the perspective of American history, another reason that “exclude religion” is a wrong view point is that it twists the positive ideal of “freedom of religion” to mean “freedom from all religious influence” – which is something that is entirely different and something the signers of the Declaration of Independence and the framers of the US Constitution never intended. In fact, the “exclude religion from politics” view would invalidate the very reasoning of the Declaration of Independence, on which the United States of America was founded, (pg. 32). He correctly notes that the First Amendment was never intended to guarantee that the public square should be free from religious influence. 4. It wrongly restricts freedom of religion and freedom of speech. With the “free exercise” clause in the First Amendment it is directly opposed to the “exclude religion from government” view as those who promote it seek to prohibit religious people from exercising their religious freedom when engaging in the political process. 5. It was never adopted by the American people. There is nothing codified stating such view. It has never underwent the scrutiny of the democratic process. Instead it has been enacted in different levels through judicial review by unelected, unaccountable judges which Grudem notes were “taking to itself powers it never legitimately had,” (pg. 35). 6. It removes from government God’s teaching about good and evil. Grudem states that the Bible says that a government official is God’s servant for our good, (Romans 13:4). He asks, “how can government officials effectively serve God if no one is allowed to tell them what they believe God expects of them?” How can government officials know how to punish evil and praise those who do good, (1 Peter 2:14) if nobody can counsel them on what is good and what is evil? Since all absolute standards are in some way based on religious convictions and a sense of moral accountability to God, this view would tend to remove from the entire nation any sense of moral standards or any sense that there is any clear way of knowing right from wrong. Therefore, the ultimate goal of this viewpoint is not only for the destruction of all belief in God, but also the complete moral disintegration of a society, (pg. 36). This view should be rejected wholesale by not only Christians, but anyone who cares about religious liberty. Note: For further reading, I commend “Wayne Grudem vs. Greg Boyd: Christian View of Civil Government” over at Caffeinated Theology to you. It has to do with contesting law and rules….. and in a democracy everyone has that right…. the problem comes how can someone contest a god law or rule you cant can you…. and the gov dose not dictate what you put in your god books do they or its not freedom of religion…. That is ridiculous, and you are demonstrating why this is wrong – reason #1 – you are failing to distinguish the reasons for a said law from the content of the law. Nobody is compelling you. All law comes from somebody’s point of view or worldview, and to say that as a Christian I need to shut up and a secular humanist is ok to influence the law is unfair (and might I add – unconstitutional). The Vatican is your leader you worship….. i gave you documents on how the Vatican over throws the power of the state…. of the people by the people…. so the Vatican is what ….terrorism… 101…. then you the problem he dose not have religion dont vote for him… again descrimination againts we the people…. Who I vote for, whatever my reason is between me and God. How is that discrimination against “we the people”? Christians aren’t part of “we the people”? That mindset is part of the problem. the state is godless or you loses your freedom…. so my questions is how many rule do Christians brake on the state? There are good and bad verses in the Bible. Allowing a few good ones to influence the law leaves that window to allow some of the bad ones. One example is slavery. As stated in the article, Grudem says the abolishment of slavery was based on the Bible. This is untrue. There are many verses in the bible advocating slavery. This includes the New Testament and the Old one (Leviticus 25:44-46, Exodus 21:2-11, 1 Timothy 6:1-2, Luke 12:47-48). Not only is the anti-slavery stance of the Bible untrue, it is a really horrible idea that if religion is allowed to dictate our laws. This could backfire by allowing slaver back into society as okay by reversing the 13th amendment. Murdering those with stoning who do not keep the Sabbath holy is another really bad idea that is even in the 10 commandments (the law is. The sentence for said crime is also in the Bible, but not in the 10 commandments). If religion is allowed to dictate laws, and if many people interpret the Bible differently, we could have people enacting crazy ideas like these because of one group’s idea of what keeping to the Bible really means. The best method would be to eliminate these dangers and base our laws on logic, reason, and compassion. Give the people as many rights as possible without infringing on others. There is no need to try and cram a 3500-2000 year old book into our law making process needlessly. It is extra baggage that will do an untold amount of harm and provide no benefit that we could not get using common sense. Also, the 1st Amendment is not in conflict with itself. “Congress shall make no law respecting an establishment of religion, or prohibiting the free exercise thereof;” This part says that you are free to do whatever you want regarding religion. The government cannot do anything to make you believe one thing or another. “or abridging the freedom of speech” This is the part that allows us to post things like this article, and to allow me to post this reply. “or of the press; or the right of the people peaceably to assemble, and to petition the Government for a redress of grievances.” This last part gives those of religious faith the right to petition the government if they feel a law needs to be put in place that they feel strongly about. That does not mean that laws should be put in place because they follow a religion. 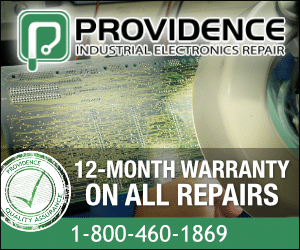 It means they should be considered in an evaluation process that weighs the pros and cons. If it gives freedom to others without infringing on anyone else’s rights, then it can be passed. For example, gay marriage hurts nobody but gives more rights to all. That last part also allows people to form any church they want and meet as often as they want without anyone in government saying it is illegal. Lastly, what if religion were to be allowed to make laws? Whose religion would be the lawmakers? The majority religion is the logical answer in a democracy. I’m not sure if the Evangelicals asking for no church-state separation are aware, but Catholicism is the majority religion in the US. That would mean that Catholic laws, not Evangelical laws, would be in our government. At that point, Evangelicals would cry foul until they are in power. The only way to ensure nobody’s rights are hurt is to eliminate all religion from government and rely on logic, reason, and compassion to make the fairest laws possible. Brown vs. Board of Education brought up the Separate But Equal question to the Supreme Court. The ruling was that the only way to ensure equality is to remove the separation entirely. Regarding religion, there is no way to ensure equality if any one religion is influencing government. Therefore, to keep to “make no law respecting an establishment of religion”, you must logically remove all religion from government, therefore ensuring equality to all religions. We have everything to gain and nothing to lose by keeping religion out of government. Thank you for completely missing the point. See reason #1 – motivations don’t equal content. Also slavery that is mentioned in the Bible has little in common with modern slavery. The Bible actually had provisions for freeing slaves (who were usually paying off a debt – so more like indentured servants than slaves), it never promotes slavery and also read Philemon – pretty radical thing for somebody to do in Roman times – advocate for a runaway slave. “base our laws on logic, reason, and compassion” whose logic? Whose reason? Whose compassion? Individuals with individual motivations. Everybody comes at this with their own worldview. I’m not talking about compelling anybody toward Christianity (that actually is in conflict with true faith), but as a citizen I have the right to influence regardless of what my reasons are. “There are good and bad verses in the Bible.” Fallacy number 1. If the Bible is in fact the inerrant Word of God and God is perfect, His word would also be perfect, and thus there can be no “bad” verses in the Bible. Because you don’t believe in this in-errancy, it is not practical for you to quote it in your argument against it, for how is one to believe the passages you referenced if you in fact don’t believe them to be true. You may argue for your position, but don’t try and use the very thing you are arguing against as your proof text. Also, if someone does not know the difference between “right” and “wrong”, I don’t expect religion or politics to teach me the difference. I think you misunderstand separation of church and state. I agree that the State should stay out of the Church! I also don’t want to see the Church so involved in the affairs of the state like what you saw in Europe pre-Reformation. That is bad for both, but we’re talking individual Christians and organizations participating in the political process to add their voice in the marketplace of ideas. That’s democracy and free speech. So you are equating Christians with Nazis? You do realize how many Christians and Catholics were sent to concentration camps right? Evidently not. I’m done debating you, it is a waste of my time. you cant give up… you have not given one ouce why you should rule as suprime beings over everyone…. with your graffidii….. like think about it you claim you have more rights then anyone why…. you have no tung to speek for your self….. if you loved your fellow humans as mush as your graffidii stickers what type of world would we live in…. just look at what your saying I’m not debating you….LOL …concentration camps are better right? because you cant face others can you…..
jesus birthday…. lol…. what dose jesus state about lieing…. Mayan 12-21-2012 and in 3 days after will be what the birth os the 5th sun…. calulated and celibrated every year 100,000 years…. so holiday is and who is the scammer…. for what is really going on…. President Donald Trump’s nomination of Judge Neil Gorsuch to the Supreme Court earned praise from both supporters and conservative critics. When Saying I Am “An American” Is Un-American.